Everyone has their favourite places and Hardangervidda National Park, the largest mountain plateau in Europe, is one of ours. The place has a great history with famous Norwegian Fritoft Nansen crossing repeatedly from Oslo to Bergan over the plateau partly in his training for his expedition to cross Greenland (1888). His was a lightweight expedition unlike the large ones organised at the time. To help you enjoy your time in these wild places we recommend our range of Pure & Dry Sleeping Bags. Made from waterproof nylon they are available in 180/195/210cm lengths and comfort ratings of -30/-40/-50. They are filled with ethically collected goose down of 880 Euro Standard fill power (1000-1200 US equivalent). 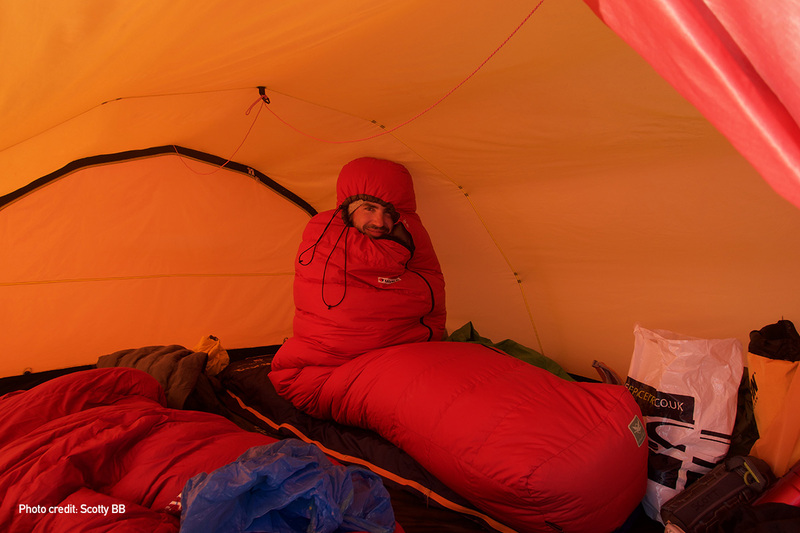 We also have the Arctic Elite sleeping bag from our Expedition Standard range of products (see below). These are designed for extended stays in sub-zero climates. To help you enjoy these bags we are providing a 20% discount on all orders through Black Friday to the New Year. Yes, that’s 20% off all made-to-order sleeping bags and accessories until 1st January 2019! Use promo code WILDERNESS20. Don’t delay, order your new winter down sleeping bag today.